This lovely pink, black, and ivory embellished dress has a ballerina-inspired feel we love. The Tiny Dancer Pink and Ivory Sequin and Mesh Dress is fully lined. The top is made of ivory fabric and it has a design of black abstract shapes decorated with ivory sequins. 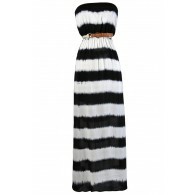 Wide shoulder straps and a V neckline create a flattering shape. The attached skirt has a pink mesh overlay, giving it a girly touch. An exposed back zipper completes this dress. The Tiny Dancer Pink and Ivory Sequin and Mesh Dress would look nice paired with pumps or strappy heels for any upcoming dance or party. Details: Fully lined. Exposed back zipper. 100% polyester. Contrast: 100% nylon. Lining: 100% polyester. Dry clean only. Small measurements: Length from top of shoulder to hemline: 33". Bust: 34". 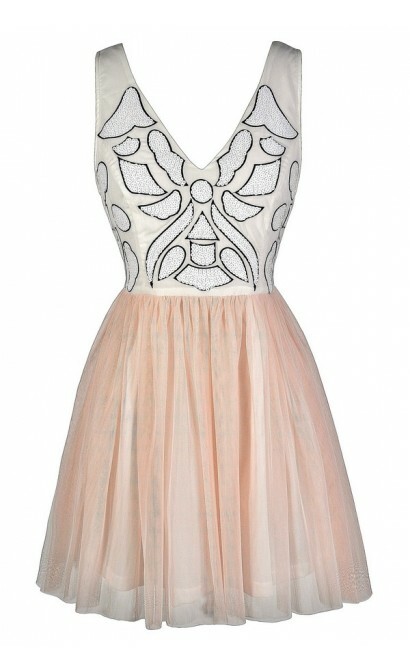 You have added Tiny Dancer Pink and Ivory Sequin and Mesh Dress into Wishlist. 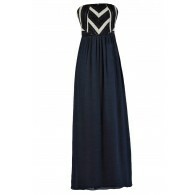 You have added Tiny Dancer Pink and Ivory Sequin and Mesh Dress for Stock Notification. 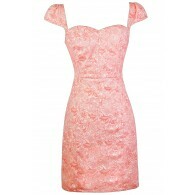 You have set Tiny Dancer Pink and Ivory Sequin and Mesh Dress as a loved product. You have removed Tiny Dancer Pink and Ivory Sequin and Mesh Dress as a loved product.